Why do astrological planets influence you and your world? The planets have a definite sway in Astrology. The Planets have an authority over your disposition and the style in which you live your life. People who don't study Astrology think it's only about Sun signs. Astrology has many sides to it. All the sides that make up Astrology must be understood for it to be of true value. Astrology is the study of the stars, "the stars" is a reference to the Planets. When it comes to the Planets, you'll find that there are ten of them. Ten you say? Yes, ten. We get this number by taking the sum of all the Planets including the Sun and Moon (also considered Planets in astrology). The Earth isn't counted for the simple fact that Earth is where we stand to view the other Planets. Just for kicks let’s name these Astrological Planets , they are; (in no particular order). Astrological Planets -Did you know? Early childhood, governed by the Moon. * Authors note; is this why we cling to our mommies? Childhood, governed by Mercury. * Authors note; is this why most of us talk so much? Teen age, governed by Venus. * Authors note; the perennial teenager in love? Adulthood, governed by the Sun. * Authors note; is this why we try to establish our power? Mid life, governed by Mars. * Authors note; does this bring on the midlife crisis and actions that go with it? Old age, governed by Jupiter. * Authors note; is this why the ones that learn their lessons and apply themselves have more to show for it? Wisdom and wealth? Retirement, deterioration, frailty and ending days, governed by Saturn. * Authors note; this one speaks for itself, No? To begin studying your personal stars, get a map or astrological chart drawn up. Each Planet has oversight over each zodiac sign and it’s "house" placement. Let me repeat, each planet has power over both the zodiac sign and the "House" that it dwells in, within your astrological chart. Now that you have an overview of the names of the Planets, and you know the reason for Planets, let us move on and see what each Planet entails. That’s it for the overview. Let’s get down to reviewing each one. 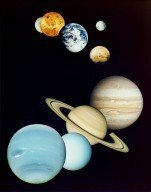 Go to astrology planets - Page 2 and read about all 10. Read on, find out about the Astrology Houses.